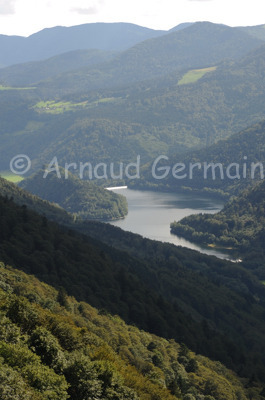 The lake where I have clocked up close to 100 dives, near my home village in France. I took the picture as we were celebrating my nephew’s first birthday in a farm/restaurant at the top of the mountain. I love the way the lake is surrounded by mountains. Nikon D700, Nikon 18-105mm VR lens at 85mm, F16, 1/30s, ISO 100, handheld. Route des Cretes, Vosges Mountains, France.